spring fashion Archives | Fashionitsa by Nitsa's!Fashionitsa by Nitsa's! The spring 2014 runways are full of dramatic contrasts and subtle additions. From classic color combos made new to silhouettes that transition to any season, there are so many flattering looks for spring 2014. 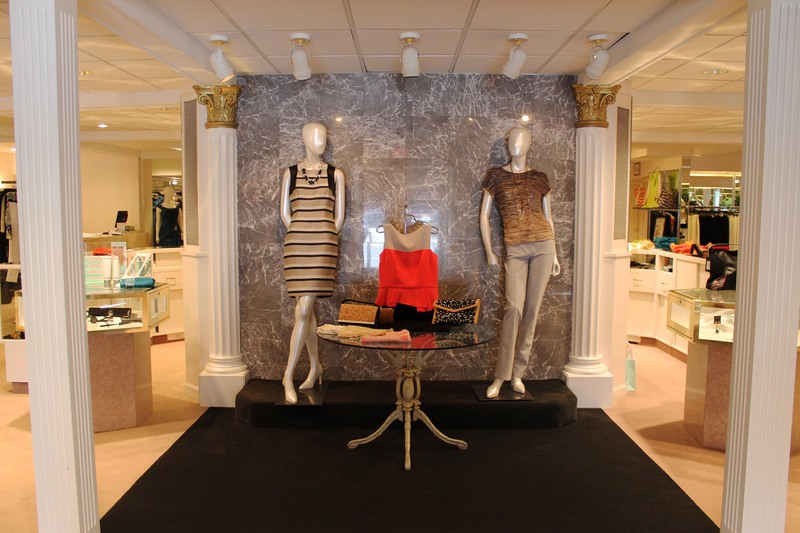 We’ll share some of our favorites in this article, and some that you can find in our Winston-Salem junior department, Fashionista. Even if you’re not six feet tall, you can still pull off these breezy bottoms. If you’re on the shorter side, opt for less flare and a higher waist to lengthen your frame. Between a mini and a maxi, this tea-length skirt is a fun option for spring. Pair with a crop top to counter the full skirt, and to add height. Think your favorite fall biker jacket, but in a lighter fabric with endless options of prints and textures. This spring’s revision on your wardrobe staple looks great paired with a body-con dress, tailored trousers, even your favorite jeans. 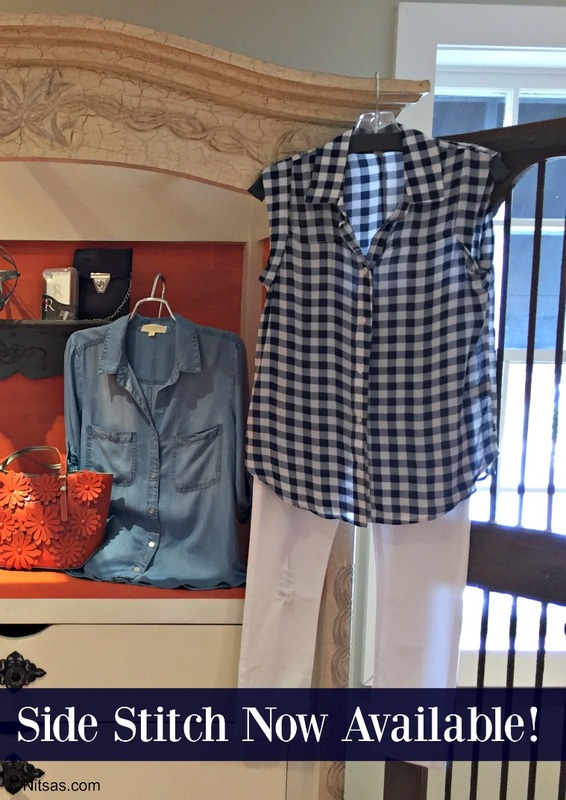 This classic combo goes from spring to summer seamlessly this season. Color-block with a black top and white bottoms (or vice versa) or go with a black-and-white print. No matter which way you choose to wear it, black and white is a winner. Muted blush, mint, violet, and blue graced the runway this spring, offering a cool look for warm weather. 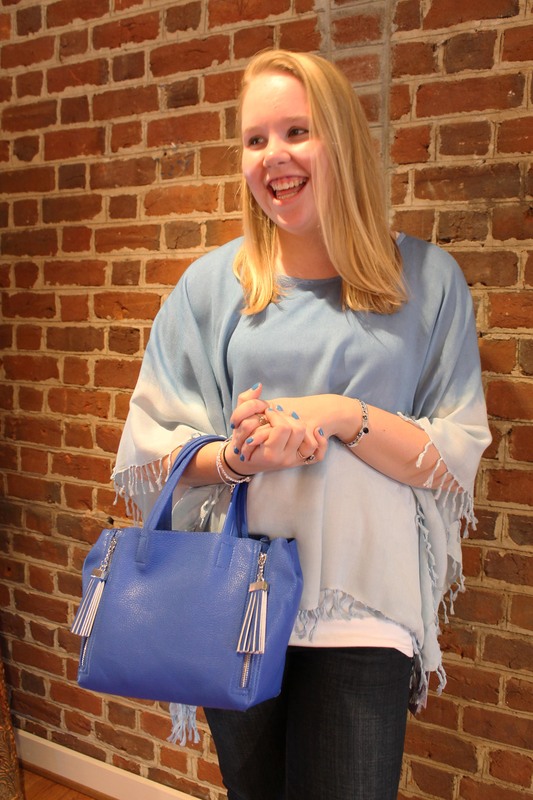 We’re loving this icy blue, ombre cape from Fashionista in Winston-Salem paired with white or dark denim jeans. 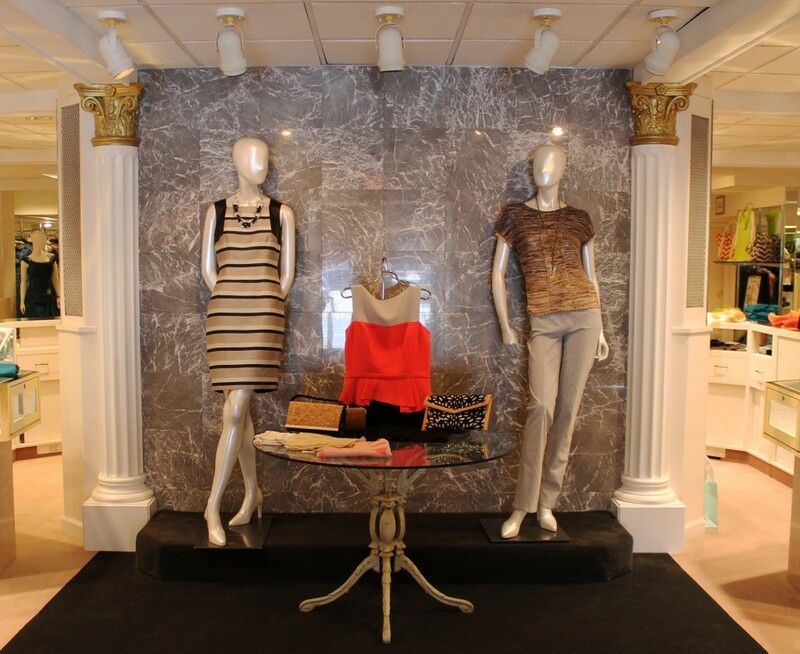 Accents of pink are the perfect way to soften this spring’s edgier looks. Pair a pink blouse or pink pleated skirt with navy, khaki, white, or black—it accents just about anything perfectly. 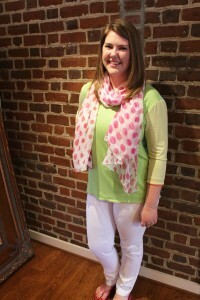 We love the touch of pink in a geometric-print tee and this pink polka dotted scarf; they both add the perfect amount of femininity.